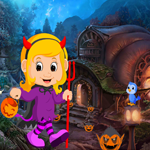 Games4King - G4K Cute Devil Baby Rescue 2 Game is another point and click escape game developed by Games 4 King. 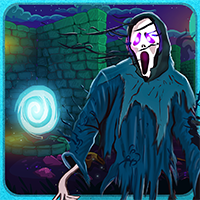 In a quiet and dark forest there is a mysterious mansion. It is very intimidating to see. A beautiful devil baby is kept inside the mysterious mansion. It is your duty to save the beautiful devil baby from where it is kept. The devil's hidden tips will help you to save the baby. Thank you for the tricks and the devil to save the child and win the game.